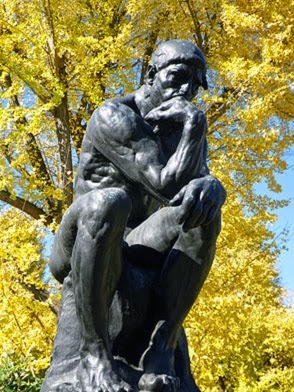 Statue 'The Thinker' by Auguste Rodin in front of a Ginkgo tree. Location: Garden of the NMWA, National Museum of Western Art, Ueno Park, Tokyo, Japan. Photo: Myau Myau's photo gallery. Aerial view on Ginkgo trees in Japan. Video on You Tube by 電動マルチコプター（multicopter）空撮（aerial shoot）https://www.youtube.com/watch?v=qwNrTqTi6m8. 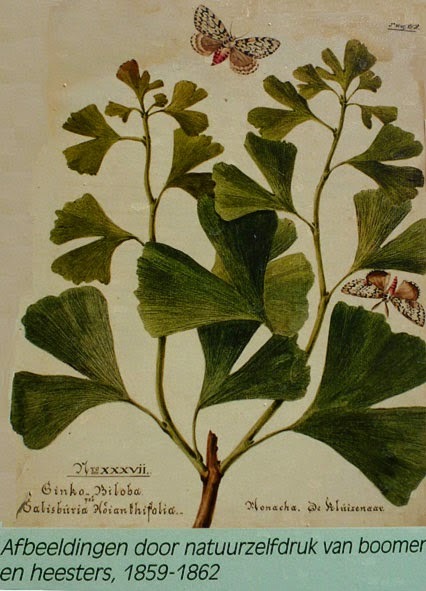 Natuurzelfdruk - Nature printing of Ginkgo biloba, 1859-1862. * New supersized Photo of the Month on photospecial page: Raindrops on Ginkgo leaf. Ginkgo huttonii lived c.160 million years ago. These fossil leaves are from the coast of Yorkshire, Middle Jurassic. Collection Leiden University, the Netherlands. 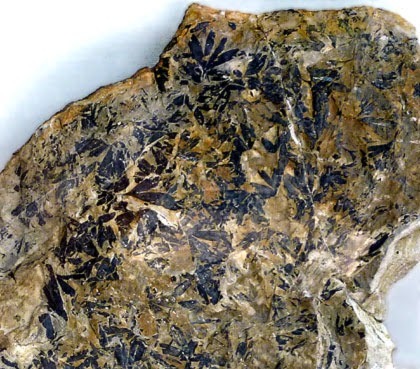 More info/photos about Ginkgo fossils on my website.